Hi Everyone! Today I'm excited to share Lava You! I started my card with a water colored background. Next I stamped and die cut the volcano. It's the perfect size and so sweet erupting in hearts! Finally I stamped the sentiment and added a few gems. 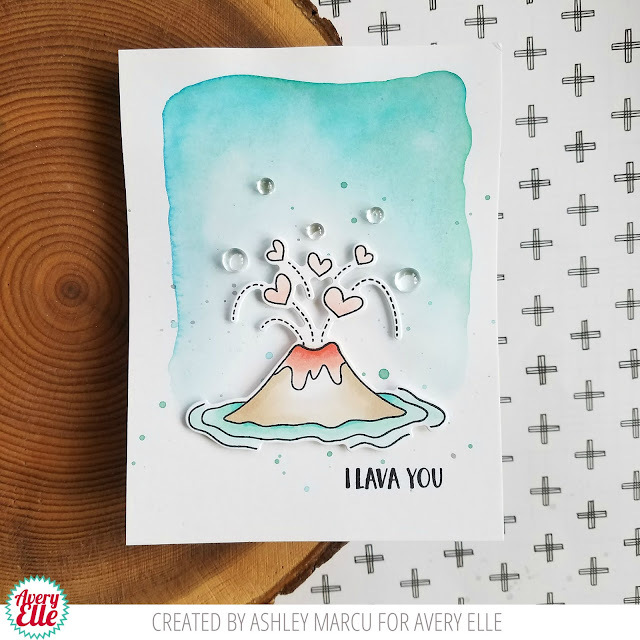 Super simple and the perfect card to give during valentine's day or just because! 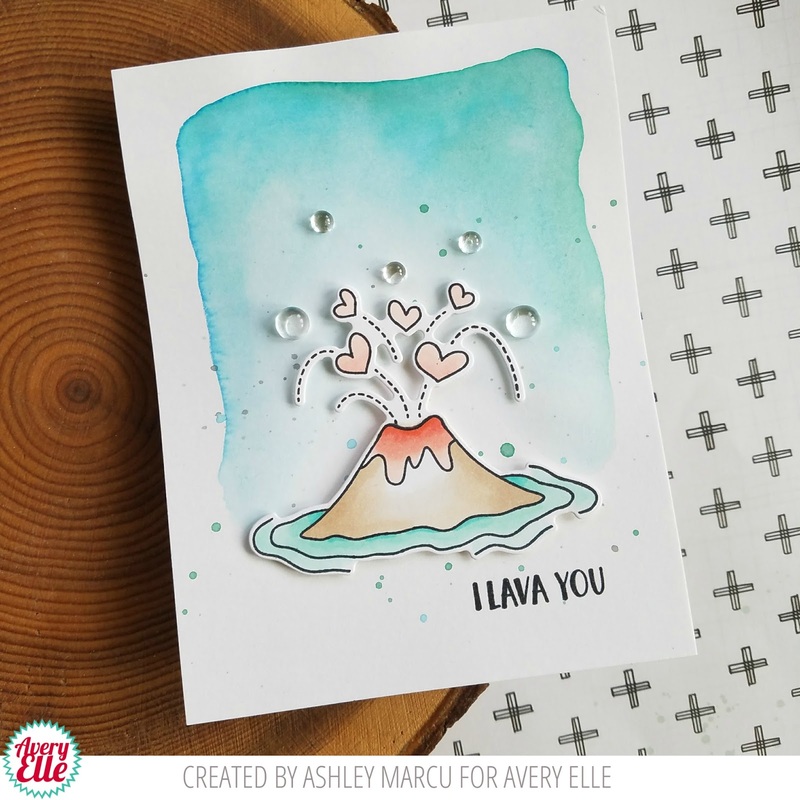 Loving this volcano but I think it looks even sweeter with the gems.